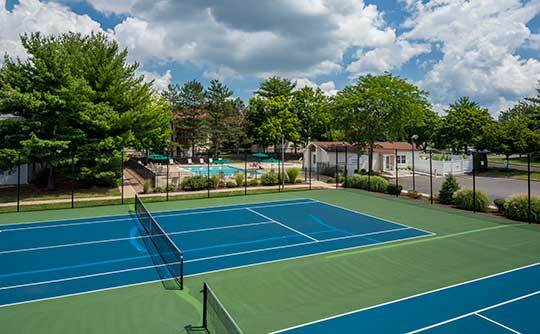 Quail Ridge Apartments offers well-maintained garden-style apartments for rent in Plainsboro, New Jersey. Our studio, one, and two bedroom apartments include the features and amenities you desire most. Inside our apartments, you’ll find the essentials — in-home washer and dryer, full kitchen, air conditioning, and energy-efficient appliances. By selecting a newly renovated unit, you’ll benefit from a home with custom Cherry Cider cabinets, stone countertops, stainless-steel appliances, and oak flooring throughout the living spaces. 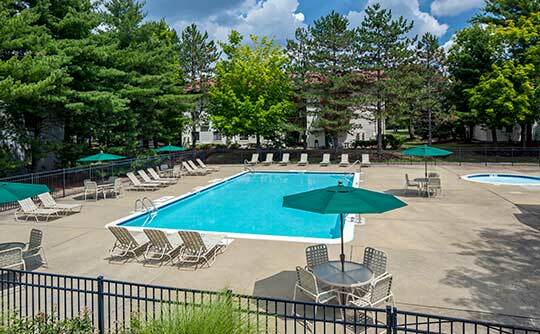 Our Plainsboro apartments offer residents a custom feel in a convenient location. More than just beautifully renovated apartments for rent, Quail Ridge Apartments offers residents community amenities designed to enhance the apartment living experience. At Quail Ridge Apartments, you’ll find two swimming pools, a playground, a basketball court and tennis courts, and an on-site fitness center. As a pet-friendly apartment community, we also have an on-site dog park that’s loved by our residents and their pups. With the community amenities you desire most and newly renovated units designed to instantly make you feel at home, you’ll love Quail Ridge Apartments. Contact us for more information and to schedule your personal tour.